What is the Litter Mug Challenge? The Litter Mug challenge is really simple. Imagine how our environment would be improved if everyone picked up just one piece of litter each day? If one out of four people in the UK did this then in one week we would have removed almost 115 million pieces of rubbish from our environment. In a month that would amount to 492 million items and a staggering 6 billion items of litter in one year. If only one tenth of the population of the Earth picked up just one piece of litter for seven days that would amount to 5.3 BILLION pieces of litter diverted away from harming our environment in a single week. A huge amount of discarded rubbish ends up in our waterways and subsequently washes into our seas and oceans. 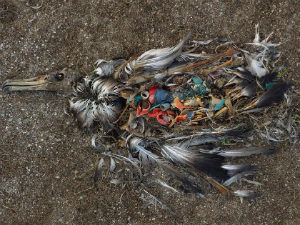 Much of this is plastic-based and of course plastic is particularly damaging to the global environment. A single plastic bottle takes 450 years to decompose and a plastic straw takes 200 years to decay. Marine creatures of all sizes can accidentally ingest plastic and microscopic plastic particles. Turtles can mistake plastic bags for jellyfish and once swallowed this is frequently fatal for the poor turtles. Microscopic plastic particles get into the food chain and as a consequence fish taken from the seas that end up on our dinner plates will contain harmful plastics. 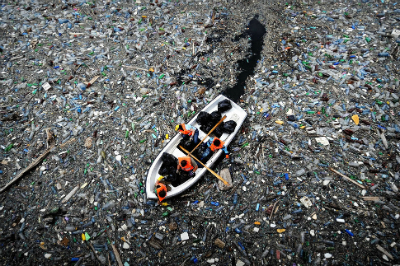 There are many accumulations of rubbish and plastic in most of the Earth's seas that effectively form floating plastic islands. One in the Pacific Ocean has been estimated to be twice the size of Texas. We simply must act to stop things getting any worse and you can do your bit to help. Pledge to pick up one piece of litter, particularly plastic-based items, every day and place it in the nearest bin. Film or photograph yourself picking up, and disposing of, a piece of litter. Be creative. We're sure that you can up with something better than the example below, however don't do anything that might harm you or others. Post your video or photos on Instagram, Facebook and Twitter using #littermugchallenge and then ask 3 friends to do likewise by tagging them. Challenge as many friends as you want and don't forget to tag them. We're trying to build a Global movement and you can be an important part of it.